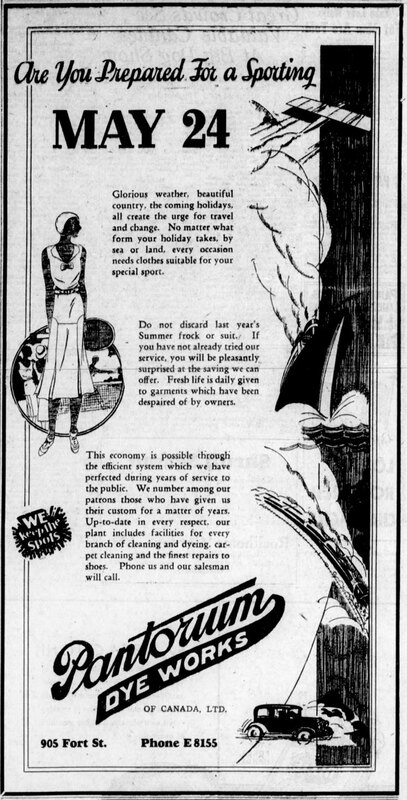 As part of our series on Historic Victoria Advertisements, Businesses, here is a 1931 advertisement for The Pantorium Dye Works, located at 905 Fort Street. The Pantorium Dye Works was located at 905 Fort Street, which still displays the Pantorium sign despite The Pantorium not having occupied the building since the 1950’s. 905 Fort Street is currently occupied by Island Blue Print.